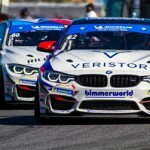 The BimmerWorld Racing OPTIMA Batteries BMW 328i (F30 chassis) No. 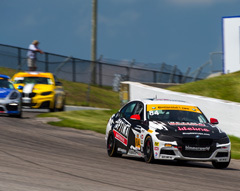 84 of Tyler Cooke and team owner James Clay led more laps than any other car in the Street Tuner (ST) class during Saturday’s IMSA Continental Tire Sportscar Challenge race at Canadian Tire Motorsport Park (CTMP, aka Mosport), and finished fifth in class in the two-hour contest. Cooke, of Matthews, N.C., qualified just 0.154 off the pole, took the lead going into Turn 1 on the first lap, and led the first 35 laps. At one point, his lead was over 8 seconds over his nearest rival before he pitted for fuel, fresh Continental tires, and for Clay to take over under the race’s sole full-course caution. Clay, of Blacksburg, Va., started his stint in second place. He dropped to fourth during a fierce battle around lap 44, and still finished fifth despite getting hit at least twice in the very heated competition. 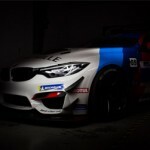 Despite a heroic effort by the BimmerWorld crew to make repairs, the No. 84’s sister car, the Powerflex No. 81 driven by Californians Ari Balogh and Greg Liefooghe was withdrawn from the event after an accident Friday in the first practice session. Luckily, Balogh was not hurt. Highlights of the race will be shown on Fox Sports 1 from 1 p.m. to 2 p.m. Eastern on Saturday, July 15. 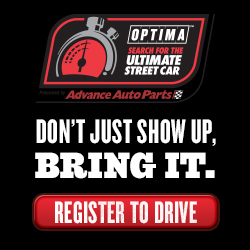 The action moves to Lime Rock Park in Lakeville, Conn. July 21-22. 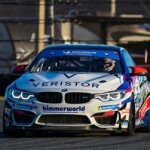 More information can be found on IMSA.com and BimmerWorldRacing.com. “It’s frustrating. You can say we had more progress, yet it feels like we’re slowly falling backward. If you look at the straight speeds, the Mazdas are clearly down, but they make it up in the turns. Our car is heavy, so we’re not where we used to be in the speed charts, and by the end of the stint, you’re just hanging onto the car. “It was a good effort for what we had. Tyler did a heck of a job, but when things start to get hot and heavy in that second stint, we just don’t have the same speed. Once the sun came out and temps went up, we knew it wasn’t going to be good for us. “We worked hard on the setup to get ready for qualifying and lost the pole by a tenth, but the team worked really worked hard, and they gave us a great car for this race. Things just didn’t play out to our favor. James had some contact, but it wasn’t his fault. Hats off to the team. I can’t thank them enough. They really buckled down and gave us a great car, and we ran in the top five. 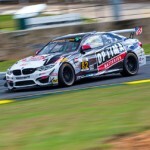 “Hopefully, Lime Rock might be a little better, and we’re off to a great start to the rest of the summer. 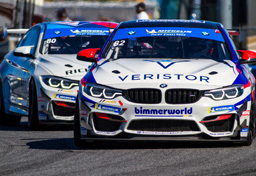 ABOUT: BimmerWorld is renowned as a leader in BMW aftermarket and tuning expertise and competes in the IMSA Continental Tire Sportscar Challenge series with a pair of BMW 328is (F30), where the Virginia-based outfit has become a routine winner and championship contender.